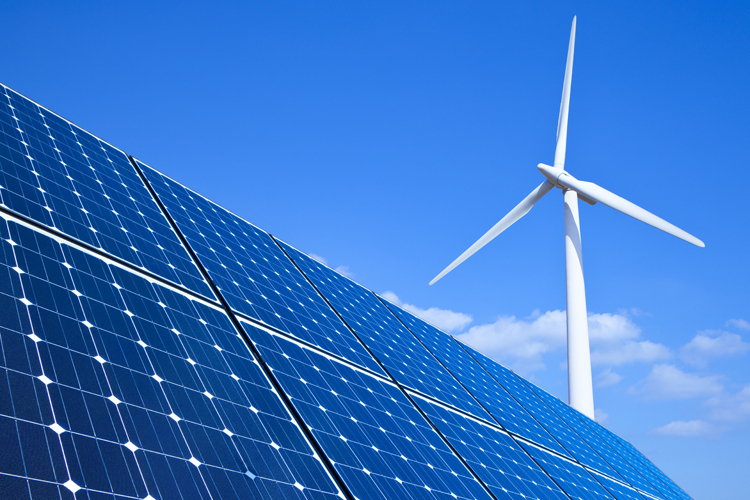 Since entering the European renewables market in 2014, Vortex Energy has built up a portfolio of assets to rival even the biggest financial investors in the market. The platform, backed by Egyptian investment bank EFG Hermes, has acquired minority stakes in two EDPR onshore wind portfolios, and most recently bought a collection of UK solar projects owned by SunEdison’s TerraForm Power vehicle. These three sizeable deals take its portfolio to 822MW of net operational capacity, encompassing France, Spain, Belgium, Portugal and the UK. Vortex’s model is to seed 5% of its stake and raise the remaining 95% from institutional investors from Europe, the Middle East and Asia. It intends to do just that on the TerraForm deal, having initially underwritten half, with Malaysian utility Tenaga Nasional Berhad taking the remaining 50%. With a solid base of assets behind it, Vortex is now looking at realising further value out of its portfolio through asset management and refinancing, while it also has a keen eye on smaller bolt-on acquisitions and an appetite for development and construction risk. Here, inspiratia speaks with Bakr Abdel-Wahab, head of energy in the private equity division at EFG Hermes, about the future direction of the platform. Vortex has minority stakes in two EDPR portfolios but acquired the TerraForm assets outright – what’s the strategy going forward? We’re now targeting predominantly majority positions though it doesn’t have to be 100% stakes. We evaluate portfolios where we see that there is an angle to implement improvements and create and realise value – whether that’s through O&M restructuring, refinancing, initiatives to increase energy yields or bolt-on acquisitions. We take a very active approach. This doesn’t mean that we bid for everything we screen and evaluate, but we do submit non-binding offers on a regular basis for deals that meet our investment criteria and return thresholds, and we tend to only bid for deals that – with conviction – we know we are going to win. Further, we also sometimes pursue bilateral negotiations with existing and potential partners. You own wind assets in Belgium, France, Spain and Portugal and now solar in the UK – which markets are you most interested in going forward? The French feed-in tariff is quite straightforward and even the changes to the regime are still quite straightforward, though the new feed-in premium is likely to be less generous. They’re also bringing in an auction system. But with the drive towards renewable energy and the gradual shift away from nuclear in their energy mix, France is a vibrant market for us to grow our existing asset base through M&A of operational portfolios ideally with a development pipeline. Further, we still closely follow M&A activity in the UK, particularly for smaller to medium-sized solar deals. In Spain, we take a wait-and-watch approach until we understand more about the regulator’s intentions for any modifications in the tariff and regulated asset base returns. So you’d be open to taking development or construction risk – would you consider supporting a developer, for example? I see one or two opportunities on the horizon. It’s not Vortex’s core mandate – because typically we invest in the assets themselves focusing on operational and financial improvements resulting in stable and attractive cash yields – but we are a young team, we evolve and it’s definitely on my mind to see if these opportunities work for us from an economic and value growth perspective. How would your investors react to that? Do they have appetite for that kind of risk? Institutional investors’ requirements and areas of focus differ. The ones who are not restricted by their investment mandates can do it for the right risk-adjusted IRR level, especially if you have a good on the ground management team and a clear deliverable pipeline. These investments have more value upside yet still provide cash yields post-COD, and onshore wind and solar in Europe have very limited construction risk these days. Can we expect to see Vortex making investments in offshore wind at any point? We would be more inclined to look at offshore wind in its construction stage. I wouldn’t wait until COD and then bid against the larger financial investors such as pension funds. The valuations on those deals just don’t make economic sense for us at this stage. We do not have an urge to invest allocated and committed capital within a certain timeframe– that seems to be a concern for the big insurers and pension funds. Like most active investors, our concern is finding deals that are attractive enough from an economic and returns perspective. We are willing to work a little bit harder for those deals and we will even look at smaller bolt-ons to assemble portfolios together. Some developers and investors are looking at subsidy-free projects – do you think these deals stack up economically as it stands? Weren’t we all striving 10 years ago to get here? People used to say renewables can’t stand on their own without government subsidies but now we’re reaching that point – albeit it is important for projects to have offtake visibility, such as corporate or utility PPAs. We should be happy, not disappointed – the sector has come a long way.